I will be the first to admit it. I want to be the hardest working Fantasy Expert in the field. I will work harder than anyone to do it and I am willing to commit the time and make the sacrifices it takes to make this happen. Something that you will find to be the exact opposite of the Yahoo Staff. Want to watch a video on how to fail in your Draft 101. This is that video. The video starts with Brad Evans who hyped Johnny Manziel to be a Fantasy Stud his Rookie Season, take a QB Early. When he says early, he says Aaron Rodgers in Round 3. Which never happens. Then the next Expert says don’t take a QB Early. Next they say BUY into the Rookie HYPE. You are crazy not to. Besides Amari in 2015. Melvin Gordon/Nelson Agholor/TJ Yeldon. All nothing that season. 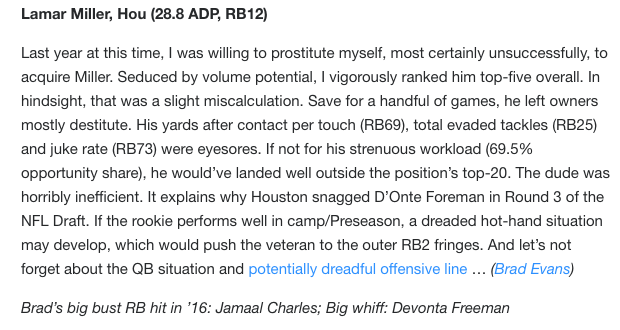 Besides Odell in 2014 who nobody drafted & Mike Evans, who I ranked higher than every expert that year. Bishop Sankey/Brandin Cooks. Nothing that season. So if you buy into this Rookie Hype of 2017, Christian McCaffery, Kareem Hunt, and depending on the draft pick Joe Mixon/Dalvin Cook/Leonard Fournette. Let me know how your team is doing in December. You are crazy not to waste a 3rd round pick on one of those guys…According to Yahoo. Next they hype Cooper Krupp and Kenny Golladay. Also Rookies. Krupp is a preseason star who has been starting for…Tavon Austin. So ya take the 4th WR on a run first team with a QB who cannot pass the ball. Kenny Golladay…another preseason star. Still behind TJ Jones on the Depth Chart, and even if Golladay does emerge to the big 3 with Golden Tate and Marvin Jones. He is still someone you can find on just about every waiver wire as there are plenty of great WRs who probably will not even be drafted. If you take Golladay on Draft Day, instead of a backup QB, a RB handcuff, or a Streaming Week 1 Defense, I don’t even know what to say. If you take Krupp, thank you for the league donation. They say you are a coward for doing the RB handcuff strategy? What is it 2005 where we have 25+ RBs who will touch the ball 20+ times? Handcuff or no Handcuff, depends on the RB or RBs. To say you are a coward for drafting your handcuff is not great fantasy advice. Le’Veon Bell owners what were you thinking draft DeAngelo Williams who was a Fantasy machine last year? Zeke Elliot of suspension this year, you are a coward to draft Darren McFadden? One more thing of Proof that Yahoo is not doing their Homework. If you watch any Bucs Preseason Football this year. One thing that was made more clear than anything, besides Mike Evans potentially seeing 20+ Targets a game. Is that Doug Martin will be the 1st/2nd/3rd Down RB for the Bucs when his season begins. He had drives all to himself. Thanks Yahoo. Glad it took until after Week 3 of the Preseason to deliever this news. 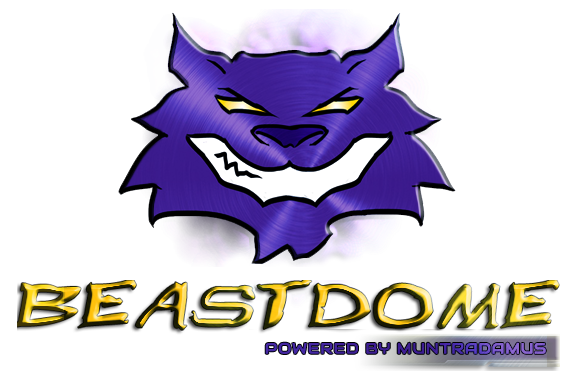 If you have been following the Free BEAST DOME DRAFT GUIDE. 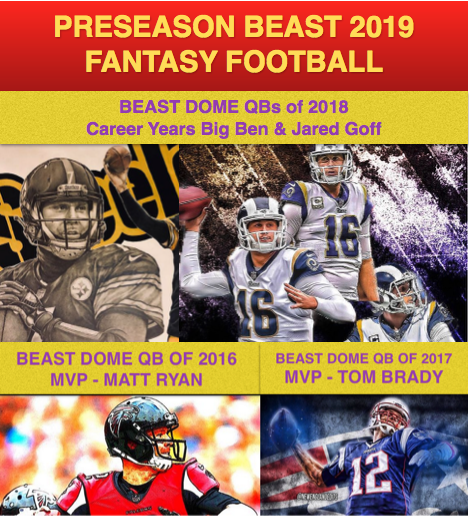 Andrew Luck was the first BUST article of the Year back on June 16th. 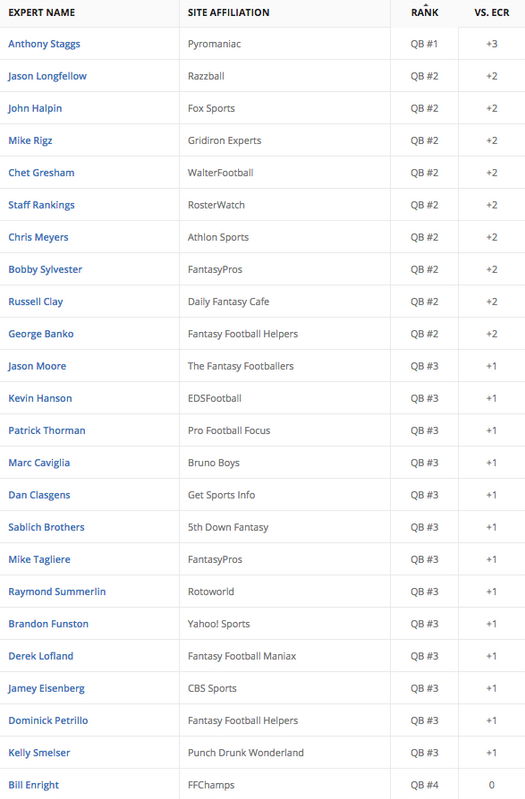 For the Record here is how the Sheep Fantasy Experts Ranked Andrew Luck back in Mid-June. DO YOU FEEL LUCKY, SHEEP? Of course they mention Marshawn Lynch. 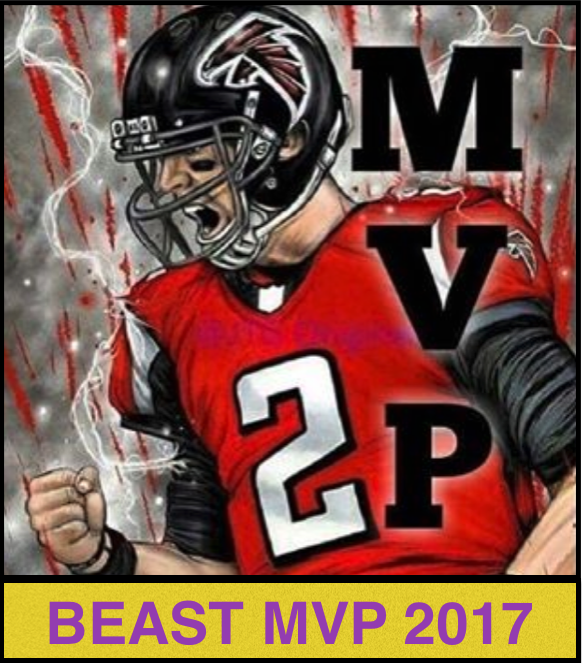 Besides my disagreement with a few things on that list that only MVPs who have the Draft Guide will know. For those of you who know me, and can type Lamar Miller into the side search bar. You will probably find nothing but negative commentary about his inability to break tackles. Never been a fan. Here is how Yahoo Predicts his season. How can you trust anything that comes out of his mouth. Or fingers.